The first historical data that can be traced on this nut dates from 1569 when a Spanish Colonial officer collected thousands of these nuts for his troops. Native of the Americas, the Brazil nut is a large seed of an enormous evergreen tree of the Amazon district. The trees can reach a height of more than 40 meters with a trunk diameter of nearly 2 meters and more. 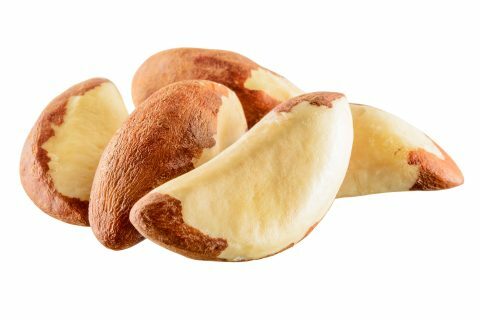 Today, Bolivia is the largest exporting country of Brazil nut kernels, followed by Brazil, the old king of the exporting countries and Peru. Brazils are rich in selenium, calcium, copper and zinc aswell as Vitamin E.